Garmin recently expanded their line of Smart Watches with the release of the Fenix3, Vivofit, Vivoactive and Epix watches. The Epix is the first watch to include fully functioning maps (think Topographical backcountry USGS maps) and is the first watch besides the Apple Watch that caught my eye. The idea of having maps on my wrist, in one small device that doesn’t require me to reach into a pocket and pull out my iPhone + TopoMaps app is intriguing. So when I saw that the local REI had a Garmin Epix in stock I went out and came home with it. 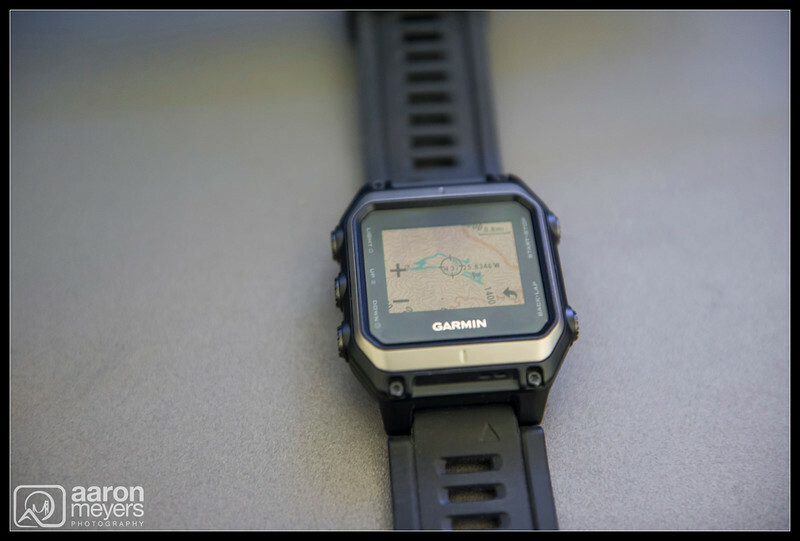 The Garmin Epix sports a 1.4″ color touchscreen, has 8gb of built-in memory for loading Topo Maps and BirdsEye Satellite Imagery, has GPS/GLONASS reception, an altimeter, barometer, compass, is water resistant to 50 meters and is a fully featured Fitness Training watch. With built in step counter and GPS it can track all your physical activities. 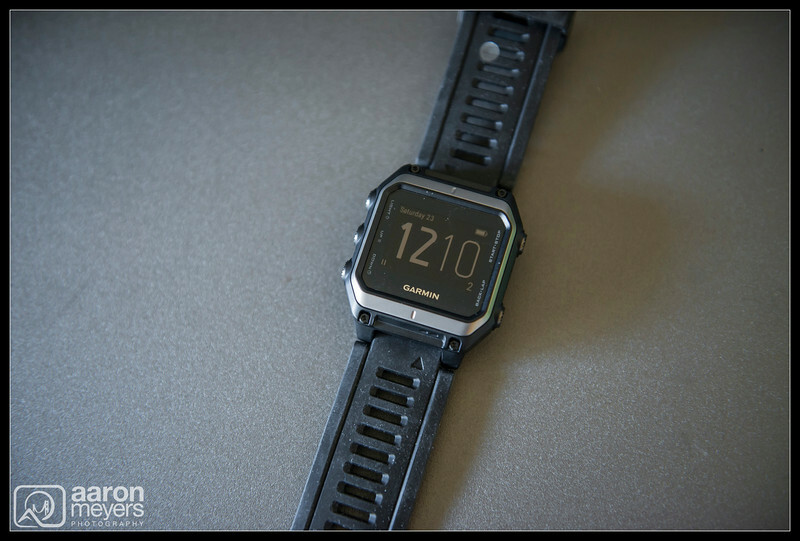 Additionally, using its ConnectIQ software it can connect to your phone via Bluetooth and the Garmin Connect iOS/Android apps to provide smart notifications and download apps (like watch faces) to the watch. 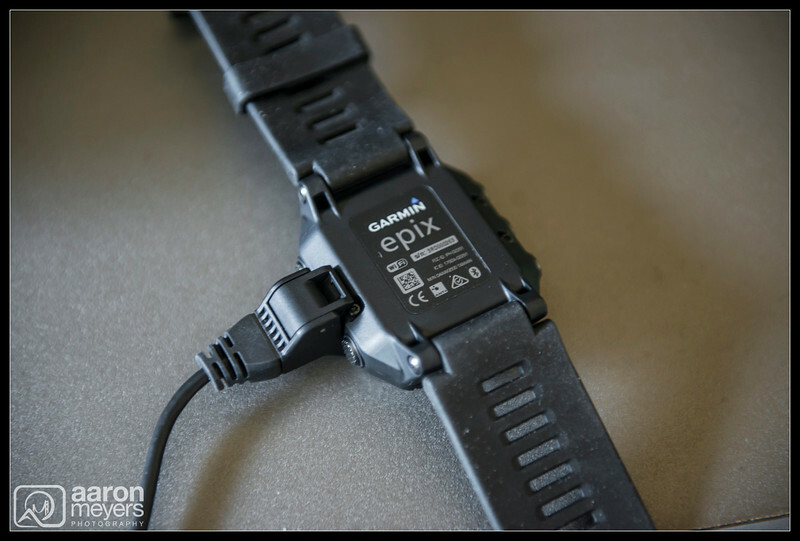 Garmin did a very poor job making a positive first impression with the Epix. Nothing on the watch comes set in the proper state when you first start using it. There’s a steep learning curve and it takes quite a number of tweaks to the settings to start enjoying the watch. Activity Tracking (step counting, etc) wasn’t on by default; all the units (elevation, distance, speed) were in Metric units and it appeared as if the device wasn’t working properly. It wasn’t until I became familiar with the interface and settings and had downloaded a few Watch Faces and apps before I started to enjoy the watch. While Garmin did a nice job with the hardware, it’s clear that the initial software for the Epix is riddled with bugs and holes and will leave you initially frustrated. The watch is so buggy that it’s hard to imagine anyone enjoying this watch. Bluetooth sync’ing is sporadic. Its delivery of phone Notification works sometimes and not others. Distance tracking freezes and is inaccurate. Step counting doesn’t even come close to matching the step count on my Fitbit Charge. I’m not sure how this software made it out of QA for a public release. The Garmin Epix inside its square’ish box. It was surprisingly hard to get out of the box. Opening the square’ish box, practically ripping the hard-to-get-at packaging, revealed the Epix watch, the owners manual, a USB charging cord, the charger, and several different power adapters depending on where in the world you live. There’s no software to install as mostly everything can be done by downloading the Garmin Connect app for iOS or Android and pairing the watch via Bluetooth. I snapped the US power outlet into the adapter and immediately began charging my watch. Out of the box it was charged to 90% and, to my surprise, was fully charged within minutes. 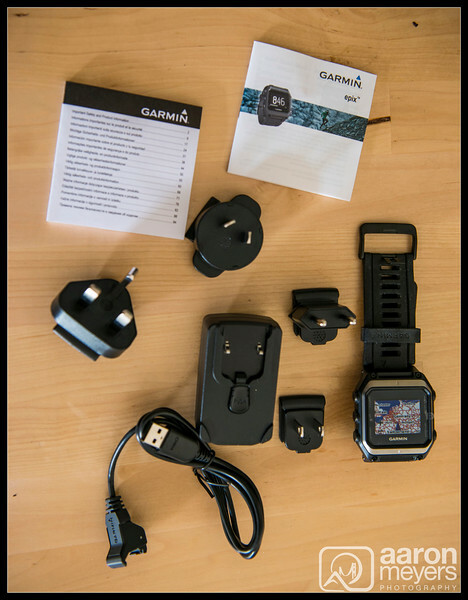 Garmin hasn’t preloaded this watch knowing where it’s sold: the US version comes with all European power adapters and the software came defaulted to the metric system and included both European and US maps. The watch can be charged either from the computer or by connecting the USB cord to the power adapter. 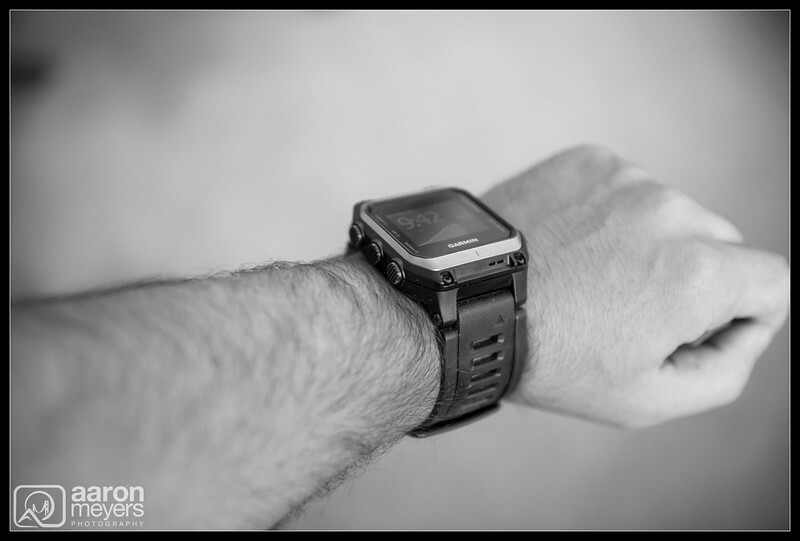 The Garmin quick-start guide and user manuals are mostly useless; expect to learn how to use the watch mostly by playing with it on your own. Be wary of the initial settings on the watch. It takes quite a bit of tweaking to become happy with it. Activity Tracking (step counter) was turned OFF by default. The Epix was quick to boot-up and the only time it was slow turning on was the initial power-on after installing new topographical maps onto the watch. 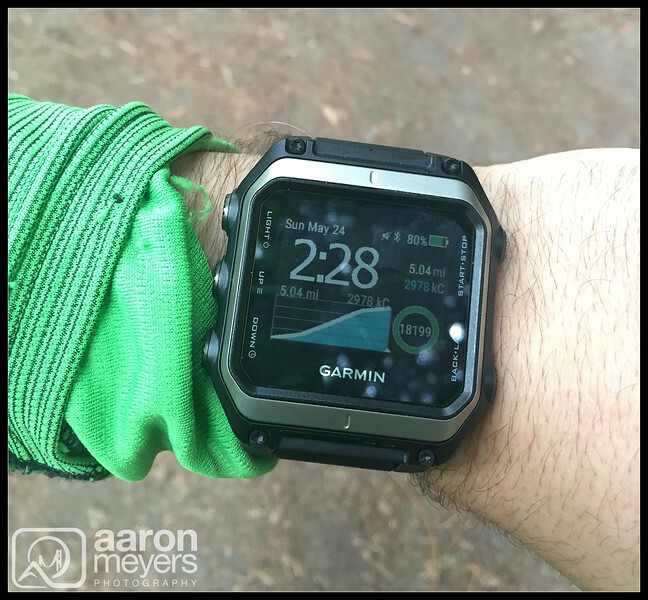 For the most part the watch is responsive and it appears that Garmin knows how to build hardware. It’s the software I’m less confident with. Scrolling the 24k TopoMaps was the only time the watch appeared slow and sluggish. I expected this watch, which measures 2.0” x 2.1” x 0.7” thanks to a 1.5″ touchscreen, to be quite large and look massive on my wrist. To my surprise, while it looks big, it doesn’t overpower my wrist and at 3.0 oz doesn’t feel heavy on my wrist either (though the number of my co-workers who declared “wow, that watch is huge” was numerous). I’m used to wearing a watch and despite the larger size this one feels normal on my wrist. The 1.5″ touchscreen makes it a little difficult for clothing and jackets to fit over it but for the most part I can forget the watch is even on my wrist. The buttons, on occasion, do snag a loose thread on some of my clothing requiring me to be careful when I go to pull up a sleeve. The band is comfortable and has a bit of a stretch to it, making it fit quite nicely. I find it a bit sticky at times and can pull on my skin and can get slightly hot and sweaty. It also attracts a lot of dust. I’d love to see if there are changeable watch bands for this. While on the large size for a watch, I found it to fit comfortably and often forgot it was even on my wrist. There are 3 buttons on the left (Light, Up/Menu, Down/Clock) and 2 buttons on the right (Start/Stop, Back/Lap). The buttons perform different actions depending on what you’re doing, like looking at the clock or administering an activity. I still get confused by their functions and end up hitting the wrong button. I found the buttons easy to press and give nice feedback. I haven’t accidentally clicked the buttons while wearing the watch. Additionally, the screen is touch sensitive and supports gestures such as swiping up, down, left and right can do the functionality of the buttons. While it’s not as sensitive as todays Smart Phone touch-screens, it does adequately respond to touches. I’ve been extremely impressed with the battery life. Garmin claims up to 50 hours in UltraTrac mode; up to 24 hours in GPS training mode; up to 16 weeks in watch mode; while I don’t think I’ll ever get 16 weeks out of it, I am seeing roughly 80 hours of battery life with normal use, including Bluetooth connectivity to my phone, Smart Phone notifications, and a few hours of GPS/Activity usage per day. 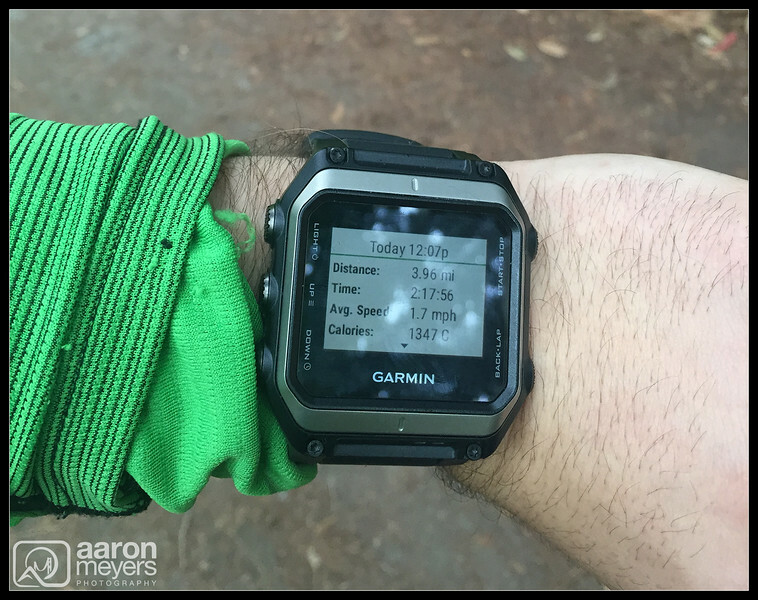 Using the watch all day and going on a 4-hour hike with GPS tracking left the Epix at 76%. Blows the Apple Watch out of the water! I’m impressed with the battery life on the Epix. This is a device I’ll probably only need to charge once every few days. The watch can connect to a phone for displaying notifications and syncing apps to the watch however I found its Bluetooth syncing to be sporadic. I had to restart the watch several times before apps would install from the ConnectIQ store. I frequently received Sync failed errors. The alert tones for phone notifications are annoying. Let me say it again, so annoying that I probably have to turn Notifications off. The alert sound level can’t be controlled and is quite distracting. The vibrate motor is so loud that you can hear it a mile away. As I continue to use the Epix new issues arise: today the phones Notifications stopped coming through. Notifications haven’t come back since. The vibrate motor and alert pings are so loud that it renders the SmartPhone Notifications useless. This will be a deal breaker for me. The ConnectIQ store, part of the Garmin Connect iOS and Android apps, is where you go to download Watch Faces, “Apps” and “Data Sources” for the watch. Watch Faces are what you expect, the front of the watch and can range from simple date/time displays to fancy graphs of your activity, step count, and more. The ConnectIQ store is quite lacking … or should I say behind the times. It looks and feels as if it was a webpage written 10 years ago; which isn’t surprising since their entire Connect team left the company in 2010. Browsing items is slow and difficult and sync’ing often fails. There’s no easy way to initiate a sync to the watch from within the app. Instead I have to go onto the Epix, and, through a combination of 6 menu options, initiate the sync from within the watch. There are a number of Watch Faces got the watch but the ActiFace is the most popular and the one I installed on my watch. It displays the time, date, battery remaining, bluetooth, # of steps for the day, maximum and daily distance and calories burned, graphs my weekly activity and more. The ActiFace developer is active on the Garmin Forums and its clear his ability to improve the Face is hindered by the Garmin API. Hopefully they’ll improve it so the watch faces can improve. For the most part, this Face is suitable. Apps is a rather confusing term… these are the activities that you might perform with the watch and range from Hiking to Running to Swimming, Climbing, Indoor Running, etc. Indoor activities disable the GPS to save on battery and use steps and stride length to determine distance. Data Sources are the sensors that feed the watch its information. Pedometer, Barometer, Altimeter and GPS are built into the watch. Notably Absent is a heart-rate monitor, which I would have expected from such an expensive Fitness Tracker. The Epix isn’t your average watch: it’s built to be the ultimate fitness watch. It’ll do everything your Fitbit does: record your steps, how many flights of stairs you’ve walked, track your eating habits, etc. But it can do so much more. It’s built to be used for any activity you perform: running, hiking, swimming (it’s water resistant to 50m), climbing, etc. With built in GPS/GLONASS it can record your route, display it on a map and track your fitness goals. You can sync your activities to your computer via the Garmin Connect app. It can do everything its sister watch, the Fenix3, can do, and even more: with its larger 1.5″ screen it can even display topographical maps. Unfortunately the Activity Tracking is so inaccurate that it defeats another one of the main purposes of the watch. 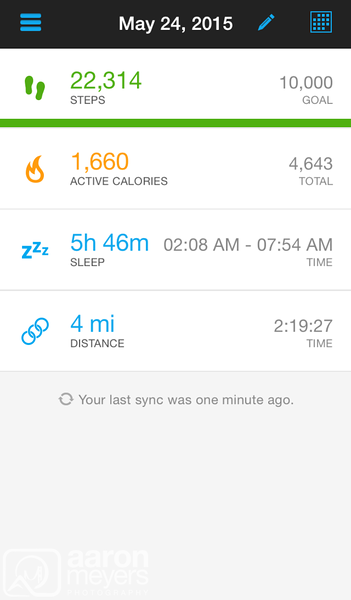 Step count and other activity tracking can be performed by turning its Activity Tracking mode to ON. Be careful though, this wasn’t on by default. Comparing the step count of the Garmin to my Fitbit Charge seemed mostly accurate at first but eventually only measured half the steps my Fitbit measured! I say mostly because I think my Fitbit Charge actually counts phantom steps due to hand movement. After some experimenting and running tests with the Epix it’s clear that it has trouble detecting smaller steps and tends to be much more accurate only if you’ve been moving for a period of time. If you walk a few steps or take small steps, the Epix doesn’t pick them up. While it does avoid counting hand motions, which my Fitbit Charge does count as steps, it seems a bit too insensitive. 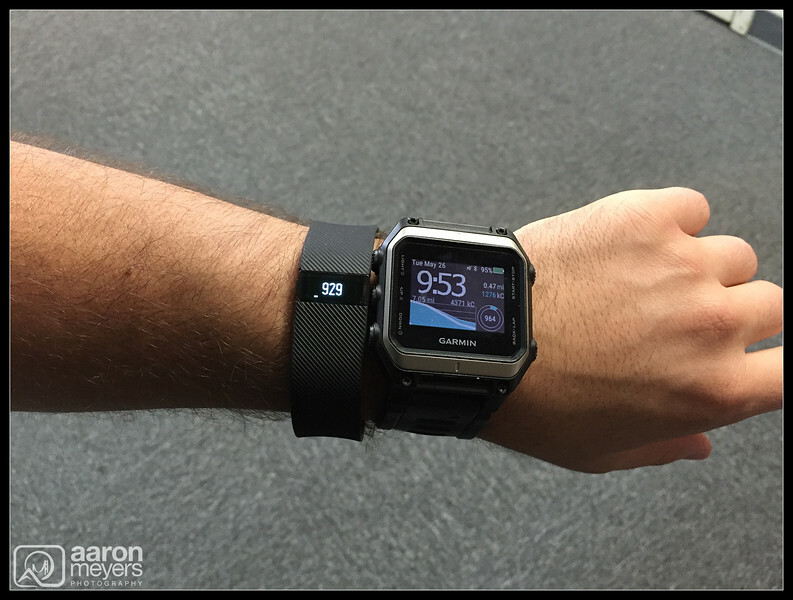 The step count of the Fitbit Charge vs. the Epix are severely different. Notice how the Garmin’s average is ~3k steps less! During my 1-hr upperbody workout it barely registered 1,000 steps, while the Fitbit counted ~3,000. Although the Garmin did a good job of not counting phantom steps it was a bit depressing to finish my workout drenched in sweat and find the Epix had only registered 1,000 steps. A built-in heart-rate monitor would be nice here, as the actual thing we want to track is calories (not steps). Why Garmin didn’t enable Step Counting out of the box is beyond me. The ability to display Topo Maps was one of my major selling points for purchasing the Epix. For $50 less, you can purchase the Epix without Topo Maps and install your own (there are a number of free alternatives) or purchase the Garmin 24K or 100k Topo Maps at a later date. Being able to hike in Utah and Arizona without needing my iPhone or a similar GPS unit was what attracted me to the watch. 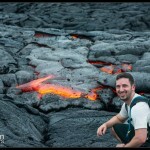 I took the Epix out on a 7-mile hike and ran into several issues. First, it appeared as if I wasn’t hiking up hill even though I continuously gained ground. Once I realized the altitude setting was still set in meters and set it to feet, the watch seemed to mimic the altitude I was gaining. Unfortunately I ran into another major problem that I couldn’t solve. Distance tracking during hike seemed to continuously freeze and was extremely inaccurate. I found if I paused the Activity and then restarted it, the distance calculation would work for some time, before freezing again. Downloading the GPS track and viewing it in Google Earth confirmed my hike was 7.2 miles. Strange that the GPS track had it correct but the watch did not. At the end of my 7-mile hike the Epix told me I had only hiked 4 miles, despite the GPS track recording all 7.2 miles. The Garmin Epix can record your activity and display the results back to you. 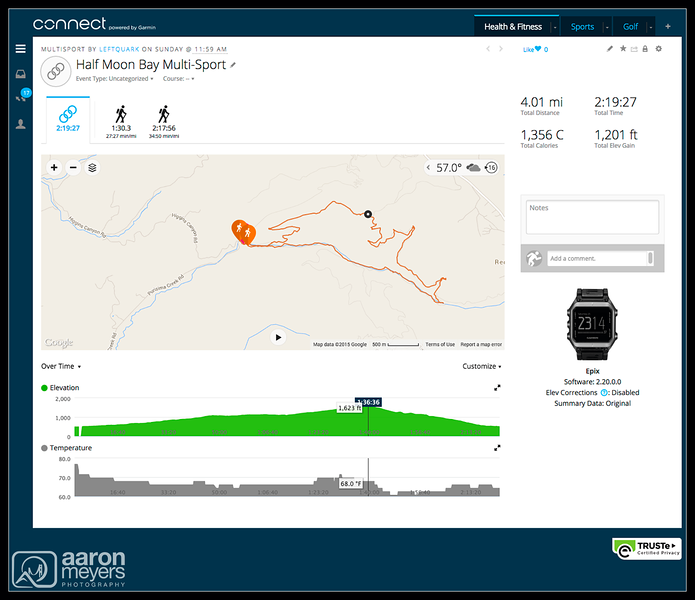 You can download your Activity GPS tracks to your computer by plugging it in via USB and using the Garmin BaseCamp program. The Activity, including a display of the GPS track on a Google Maps can be done from the Garmin Connect website, but exporting to a KML or Google Earth file was disabled via the web. I had to do it using Base Camp. Again, another frustrating aspect of the watch. Activities can be pre-programmed into the watch and because of its “Sight ‘N Go” feature it can give you land-based directions that don’t require roads (take a trail, for example). The Epix also has a TrackBack function which will have the watch guide you back to your starting location; useful if you’re doing an out-and-back hike in the backcountry (for example hiking to The Wave). Lastly, the Epix supports multi-sport activities and can be used to track activities like Triathlons in which you’re transitioning from swimming to cycling to running. The main difference between Garmins previous GPS watches and the Epix is that the Epix is the first watch that can display maps. The Epix has 8gb of storage for downloading and installing additional maps. 2 versions of the Epix are sold: one with 100k Topo Maps and one without. Essentially this means the maps are a 1:100,000 scale of the USGS topographical maps. 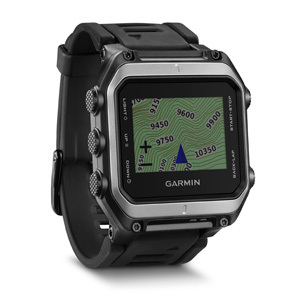 Garmin also sells 24K maps, which at 1:24,0000 scale are much more detailed. These maps take up more HD space and are slower to install and Garmin sells them based on region. If you don’t get a version with TopoMaps pre-installed you can download free maps off the internet or purchase Garmin’s maps separately. Garmin includes basic maps (though not useful for hiking) pre-installed on the regular version of the Epix. Navigating to the map on the phone involves pressing the “Down” button. From here you can use the buttons to zoom in/out on the map, pan around, view routes and waypoints and more. You can also use your finger to scroll around using the touch-screen. The Garmin Topo Map seemed quite detailed on my 7-mile hike and I’ll continue to play with it during an upcoming weekend trip. I’ll get a chance to try out more of the waypoint and route guiding features and will update this post accordingly. The Epix will also display Altitude, Compass Heading, Barometer, and Temperature. 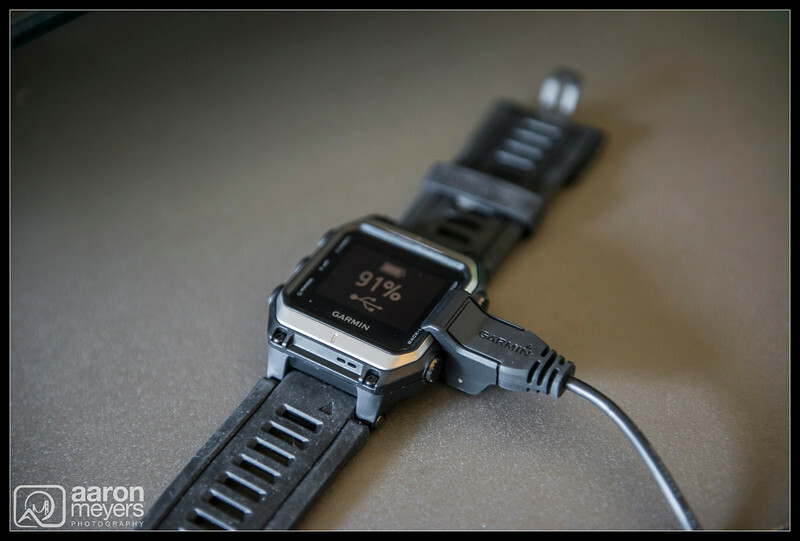 Garmin claims the Epix contains 2 temperature sensors: one inside the Epix and one on the outside, however, I find its temperature recording to be extremely inaccurate, and is hot by about 10°, even when not on my wrist. I can find no way to calibrate this. The altimeter and compass can be calibrated. The Epix can track your sleeping habits using its built in accelerometer. Let it know your typical bedtime and wake-up time and it can calculate how much you sleep and how restless you were. I’ve been using a Fitbit Charge for several months and was able to compare the Garmin to my Fitbit. The Fitbit Charge can automatically detect sleep and doesn’t need to be told bedtime or wake-up times, which the Garmin initially seemed to require. The Garmin matched the Fitbit Charge almost exactly for detecting when I went to bed, when I woke up, and how restless I was at night. Reported sleep times matched almost identically between the 2 devices. If I slept later than my default time, the Epix detected I was still asleep without needing to reset the settings (thankfully!). While the Garmin Epix seems to accurately measure my sleep, it lacks any type of feedback on how well I slept. Sleep tracking on the Fitbit vs the Epix: while the Epix graph is more detailed I have no idea if that level of movement is good or bad. Perform a sync from the Epix to the Connect App in the morning and the app will display a beautiful graph of your restlessness. Lower levels indicate good sleep and higher levels indicate movement. Unforunately it gives me no indication of whether or not a certain level is acceptable or not. The Fitbit Charge, on the other hand, displays my sleep as either “Good”, “Restless” or “Awake” by drawing lines where I was Restless or Awake. This is much more useful than the Garmins, which just had a pretty looking but not-useful graph. With that said, unless I’m sleeping horribly, the ability to track my sleep patterns is mostly pointless as most people will make no change to their sleeping habits based on this behavior. The most useful data point for tracking your sleep is to know exactly how much sleep you got last night. The Garmin Epix is feature packed but it’s missing a few things that I expected in this device. The first and most absent is a Heart-Rate monitor. Much cheaper Fitness Trackers are including them, and even similarly priced devices like the Apple Watch have a Heart Rate monitor built in. I shouldn’t have to purchase an additional sensor for this. The Epix also lacks WiFi and can only connect to your phone via Bluetooth and the computer via the USB cable. Unlike the iPhone, which can deliver alerts from your phone to your watch over large distances via WiFI, your phone must be within Bluetooth range to receive phone notifications. Oddly, the back of the Epix has a WiFi logo on it even though it doesn’t have any WiFi capability (or at least it’s not enabled). My last gripe is in relation to a notable software feature missing: the ability to turn off alerts (but leave Notifications On). I can set my phone notifications to “Always On”, “Phone Calls Only” or “Off” and the phone will alert me appropriately. Alert options include “Alert” (a loud chirp) or “Vibrate” or “Alert + Vibrate”. As mentioned above, both the Alert and Vibrate are so loud and distracting that I need to turn them off. Unfortunately, you can’t. The only way to turn off alerts is to turn off Notifications. Ideally the watch could mute all alerts but would light up when a new notification arrived, similar to how iOS and Android phones behave when notifications arrive. There are a lot of great things about this watch but there also a number of things wrong with it. It’s pretty clear that Garmin knows how to make hardware, it’s just their software lags so far behind. It’s not intuitive, it’s hard to figure out and it just plain doesn’t work well. Ironically, with that said, it’s a hardware feature that’s most likely going to drive me to return the Epix: the vibrate motor is just too dang loud. I purchased this for 2 reasons: Smart Phone integration and Maps. While it does the maps fairly well, not being able to use it to receive my phone alerts means I might as well just buy a much cheaper and much better handheld unit … or just continue to use my iPhone with its $6 TopoMaps app. 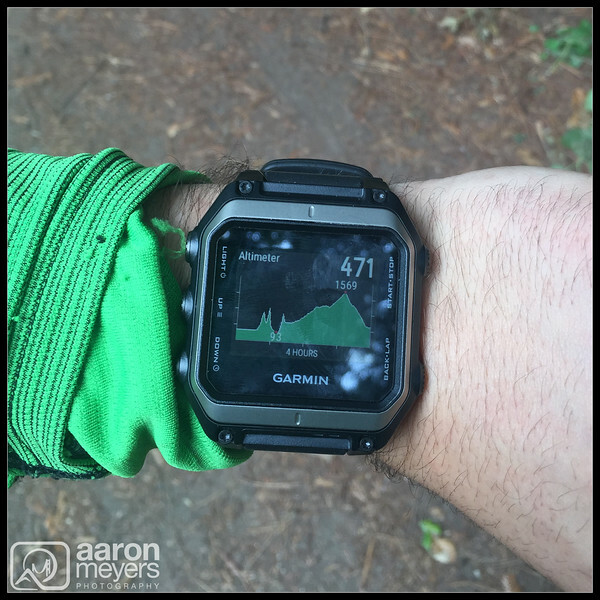 Pro’s: Topo Maps on my wrist! Huge number of activities it can track. Feels nice on wrist.